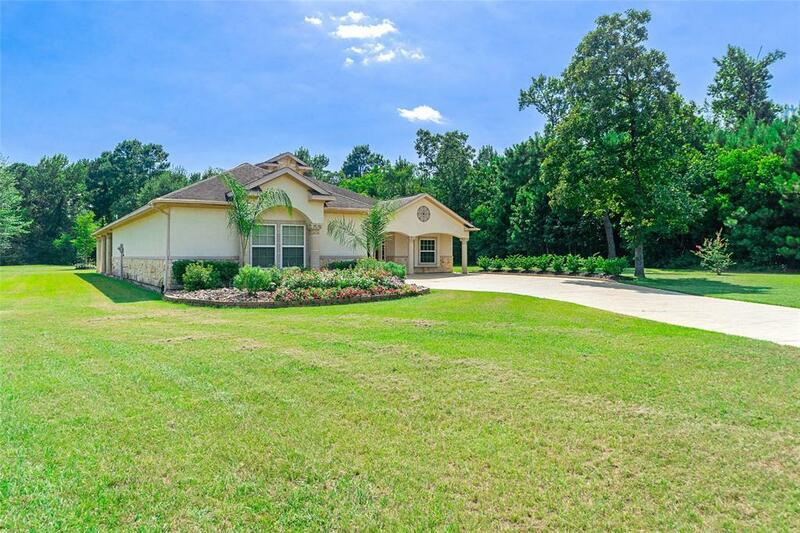 Situated on a cul-de-sac in a prestigious Montgomery Trace Subdivision near Woodforest Golf Club. 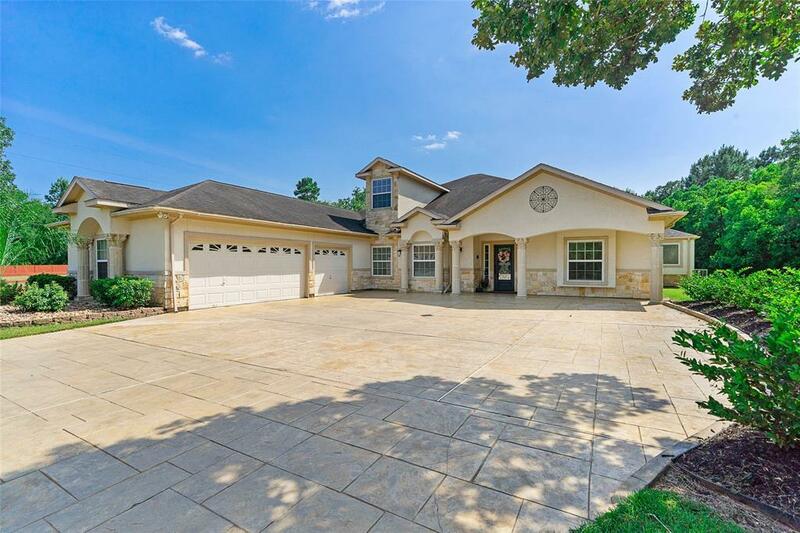 Boasts 3,604 square feet of Luxury build and design interior found only in highly customized homes. This created product has a seamless indoor/outdoor flow with amenities and finishes found in only the finest residences. 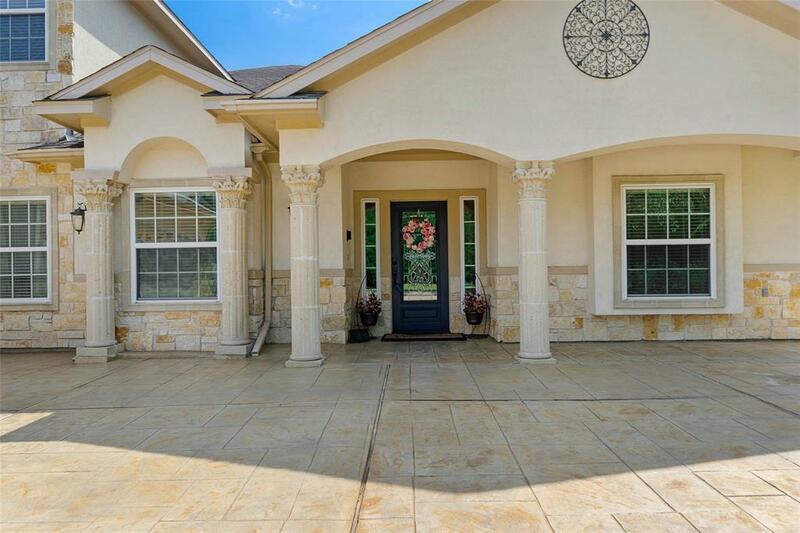 Other amenities include a 3 car garage, high grade stainless steel appliances, hand selected stone slabs such as limestone and imported cantera stone. Room upstairs has full bath and could potentially be a 4th bedroom! 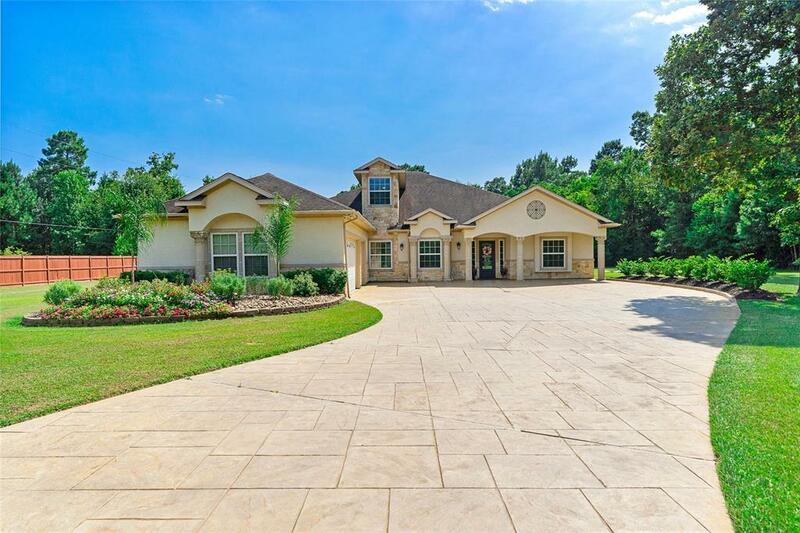 This amazing custom home sits on a private 1.5 acres, and wired with security cameras and speakers for extra protection. A real must see to appreciate! This home has never flooded! Check out the 3D model walkthrough!